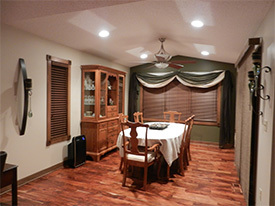 Home Remodeling in Fridley MN | Bannochie Builders Inc.
Bannochie Builders Inc. provides reliable and dynamic residential remodeling and renovation services in the Twin Cities, primarily focusing on Minneapolis, Minnetonka, Wayzata, Edina, Eden Prairie, and Bloomington. Our exceptional quality comes from over 25 years of background experience in all aspects of the construction process. Our mission is to create a comprehensive plan tailored to your specific needs in order to go above and beyond your expectations. Our attention to detail and innovative ideas is what makes us so successful. Whether you are thinking about transforming your deck into a four-season porch, looking to do a kitchen remodel, or converting that out of date bathroom into a Jacuzzi spa getaway, our team of experts at Bannochie Builders will help make your dreams a reality. Give us a call today. We’ll be more than happy to quote your next construction project. Check out our testimonials, photo gallery, or contact us today for a free consultation!